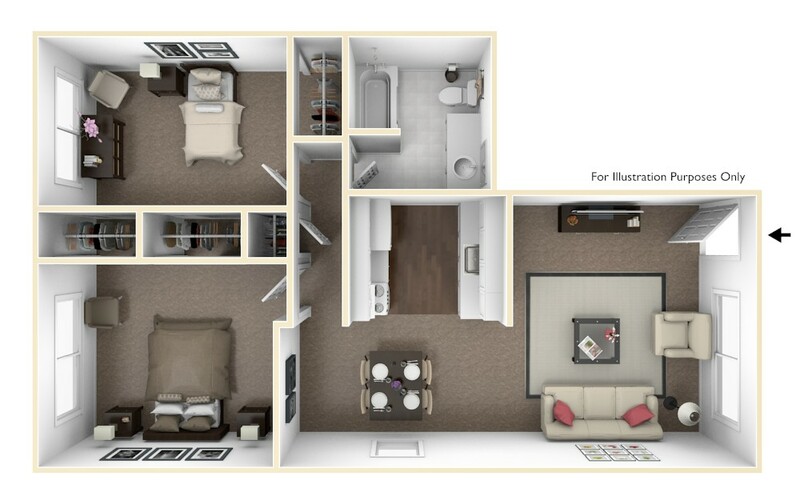 Featuring beautiful, modern kitchens and roomy layouts these one and two bedroom units are a must see! 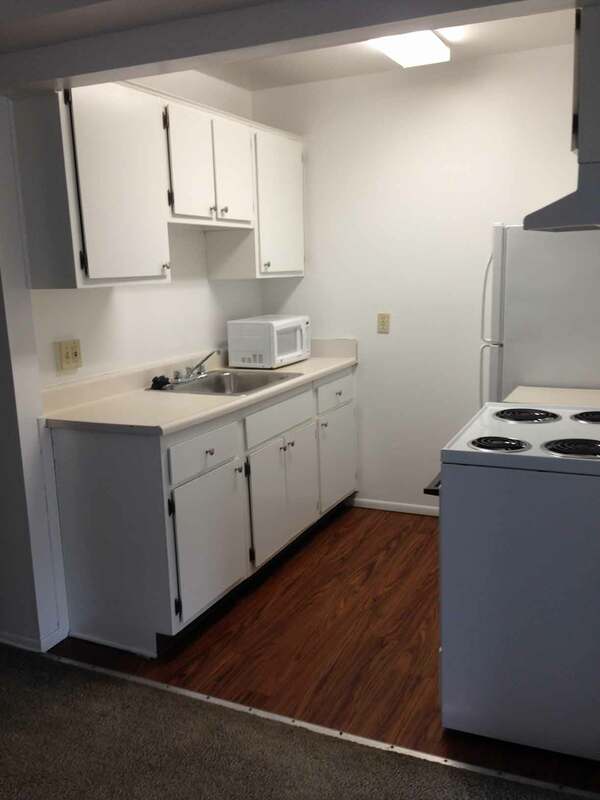 As with most of our properties, these units also are also tastefully furnished and include heat, water, trash, and sewer. 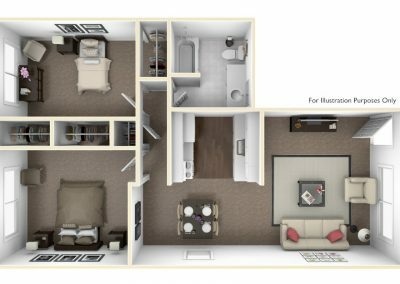 The layouts for the Cederview West Apartments allow for plenty of quiet study space, with the kitchen separating the common areas from the spacious, private bedrooms. 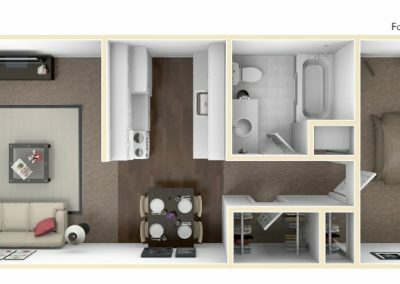 With plenty of closet storage, spacious layouts, and close to everything East Village has to offer, you’ll love these affordable apartments. 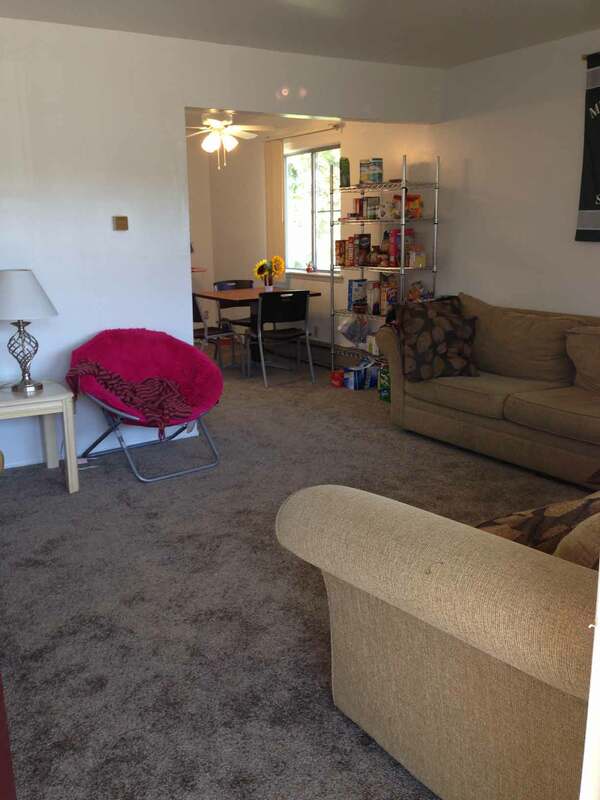 Strategically placed windows allow for wonderful summer breezes to waft through the apartment. 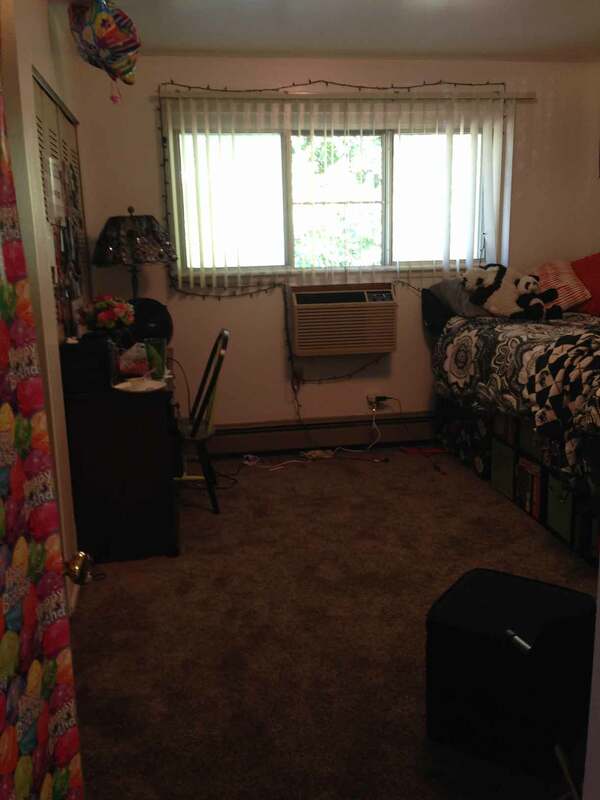 One bedroom units include one parking pass, and two bedroom units include two parking passes. This is a pet-free community. 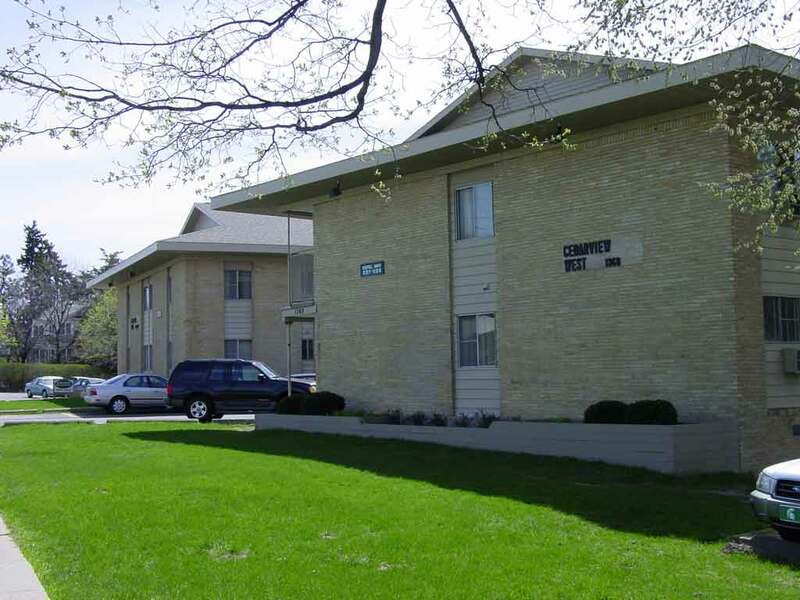 These spacious one bedroom apartments are ideal for one or two people. Private entrance to your apartment home. 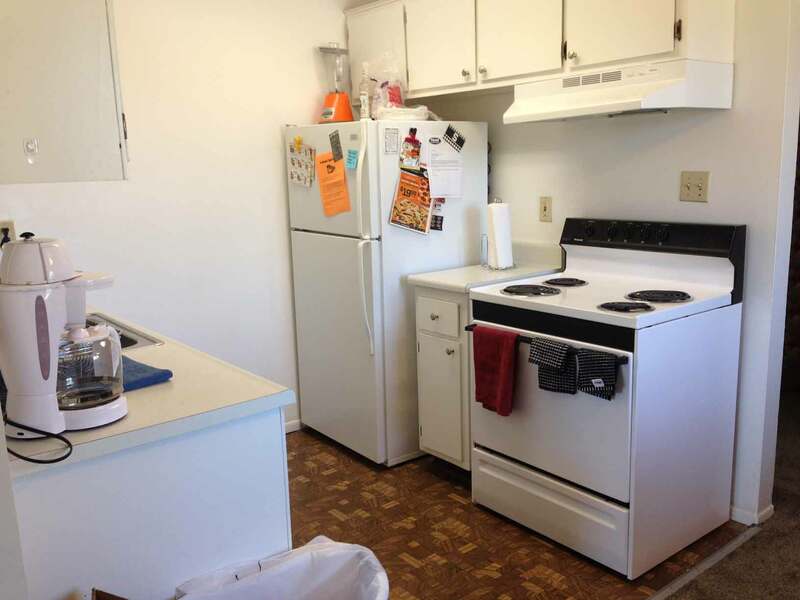 This apartment is comfortably furnished and includes heat, water, trash, sewage and one parking pass. This is an optional design. The living room and dining room are separated by the kitchen, walk-in closet, and bathroom. This allows one person to watch TV while the other is studying in the bedroom. 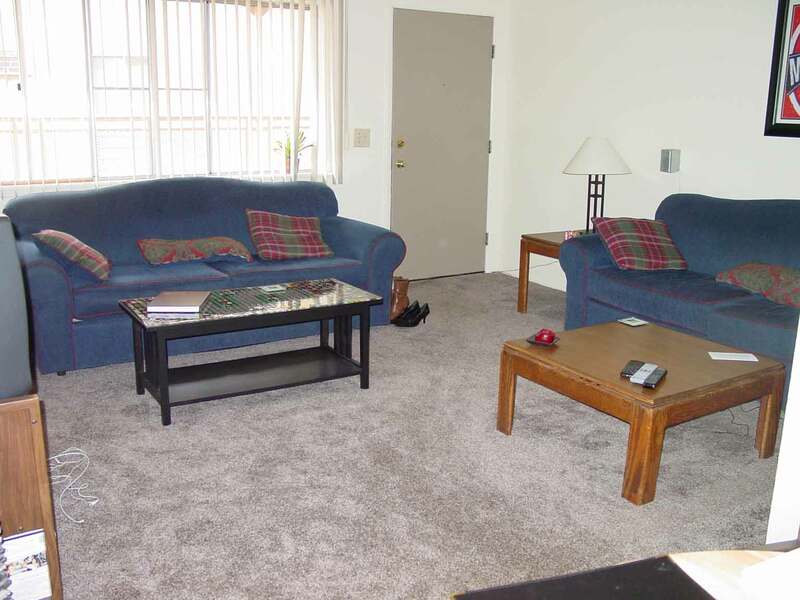 These spacious two bedroom apartments are ideal for two people. Private entrance to your apartment home. 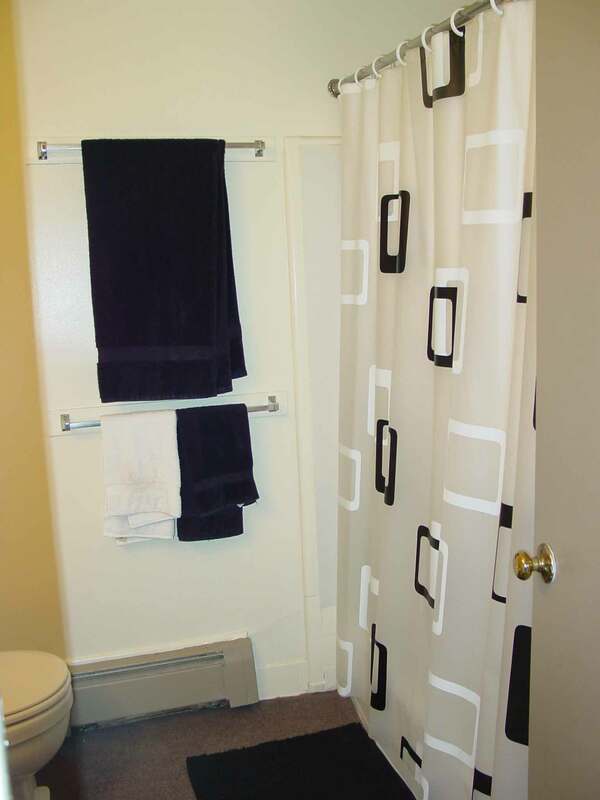 Plenty of closets and large bathroom. This is an optimal design. The living room and dining room are separated from the bedrooms by the kitchen. This allows one person to watch TV while the other is studying in the bedroom. 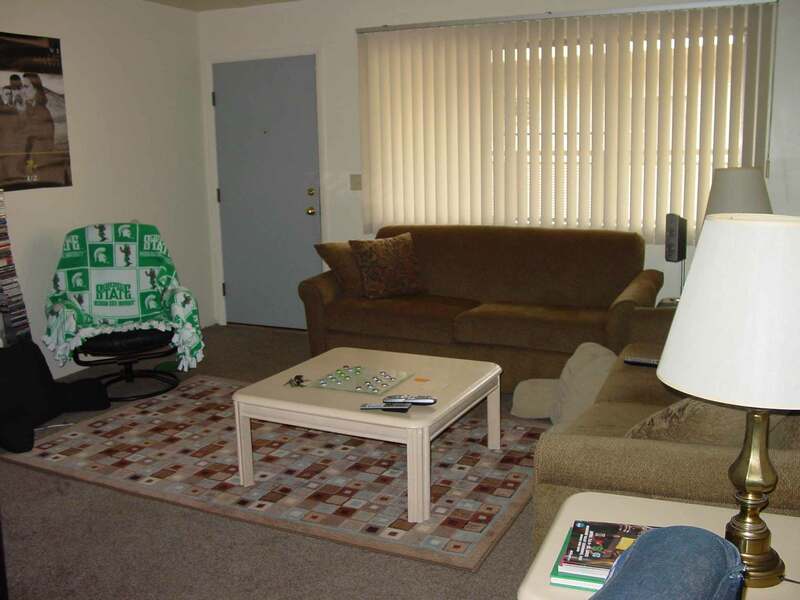 This apartment is comfortably furnished and includes heat, water, trash, sewage and two parking passes.